Without flood insurance coverage, your standard homeowner's policy will not cover water damage from storms, hurricanes, mudflows, or melting snow. Located in Marlton and Northfield, NJ, BCA Insurance Group understands the insurance needs of those living in New Jersey, New York, and Pennsylvania. We will work with you so that you can select the policy that best fits your needs. It's important to know that the National Flood Insurance Program (NFIP) will not cover every incident. Certain standards must be met and federal declarations made, and even then you may have to repay some or all of the disaster assistance you receive, along with interest. Agents at BCA Insurance Group understand these complexities and can discuss various alternatives that may suit you better. You should know that any property within a 100-year floodplain that has a federally backed mortgage must secure flood insurance. Our professionals are aware of how various policies work. We understand the limitations for damage that occurs in basements, know that some policies may reimburse you for moving insured contents to a better location, and keep track of how the redrawing of federal Flood Insurance Rate Maps (FIRMs) may affect you. For those who received assistance after superstorm Sandy in 2012, we can explain the coverage requirements that you may be required to maintain. Also, it's important to know that you do not have to live in a hurricane evacuation zone or near bodies of water to suffer flood damage. While many coastal residents of New Jersey remember Sandy, all of us should know that a few inches of rain or melting snow entering any home in the Garden State may cause substantial damage. 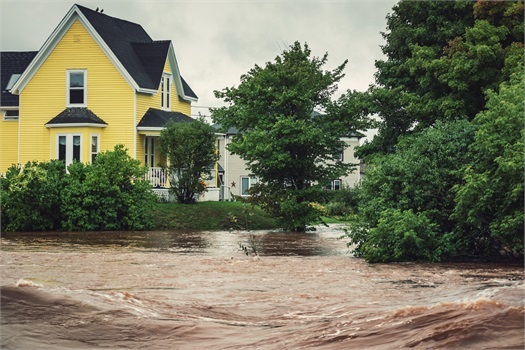 We welcome you to visit us at our main office in Northfield, NJ or our second office in Marlton, NJ and welcome questions about flood insurance. Please contact us so we can discuss the best options available and learn how to get your flood insurance policy started right away.